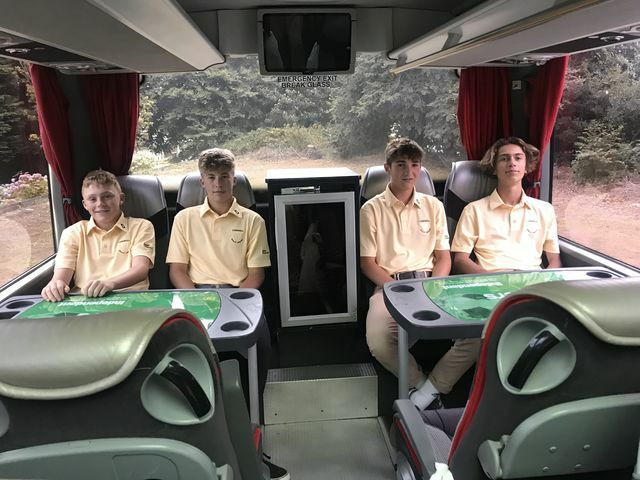 The Cornwall U18 Boys team will be travelling in magnificent style to the England Golf Boys County Finals in the North east of England later this month thanks to the locally based newspaper The Independent. Five weeks ago Cornwall’s U18 team became the South West Champions after a stunning display of golf at Perranporth. As the dust settled after this terrific achievement, the hard work started behind the scenes for Junior President Alan Lund and Duchy Team Manager Gary Andrew to organise the long trip to the National Finals at Rockcliffe Hall Golf Club nr Darlington. 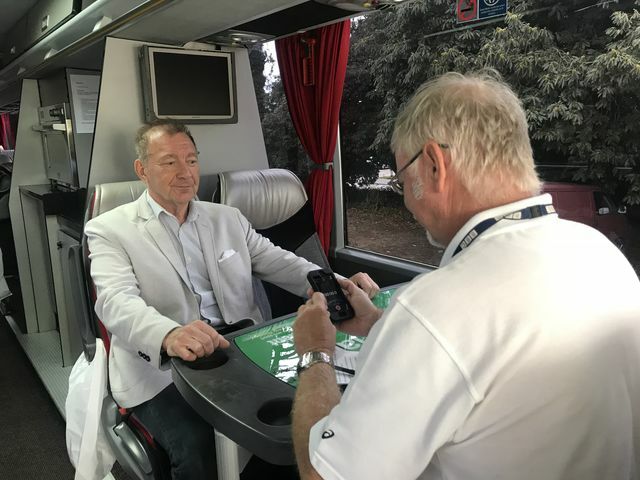 The 640 mile trip was to be the biggest factor as there was a desire for the team to travel in comfort – and this is where Peter Masters, owner of the Independent newspaper, which bills itself as the weekly best for Devon and Cornwall News and Sport, very kindly stepped in and offered support in the form of his coach. Last Friday Peter Masters presented the luxury coach to four of our team along with Cornwall’s Golf Union representatives. The very kind offer of the coach, driver and fuel means that Cornwall’s team will travel like royalty as the vehicle boasts air conditioning, leather seats, kitchen, toilet, personal stereo and Sky TV. The Boys County Finals take place at Rockcliffe Hall Golf Cub, Darlington from 28th-30th August and Cornwall will face Kent, Lincolnshire and Yorkshire over three days of match play golf. 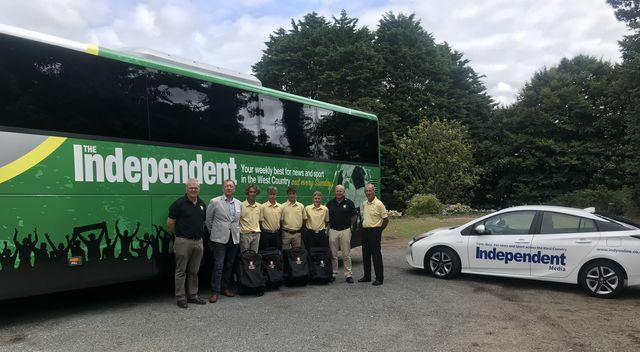 The Cornwall Golf Union would like to take this opportunity to thank Peter Masters and the Independent for their very generous gesture which will making the boy's trip an extra special and incredible experience for the lads. The Championship is be played by match play on a “Round Robin” basis over 3 days between representative county teams from each of the four mens regional groups and Cornwall are the SW region qualifiers. Each day’s play will see see two matches each consisting of three games of 18 hole foursomes in the morning and six games of 18 hole singles in the afternoon. Rockliffe Golf is not just any golf course ....... Famous for exciting tournaments, world class facilities and a friendly and welcoming atmosphere it is easy to see why this is the North’s premier golf destination. Although this parkland golf course is one of the longest in the UK, the stunning North East countryside scenery means that players often don’t want the experience to end. Three lakes, eight reed beds and 25,000 new and mature trees have been added to a course and the A4 creeping bent grass greens have a slickness to them which sadly offer no excuses for missed putts.